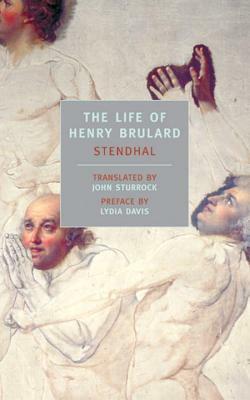 The Life of Henry Brulard is the autobiography of one of France's greatest writers, Stendhal, author of The Red and the Black and The Charterhouse of Parma. Here, writing at white heat and with such ferocious honesty and indignation that his book was to remain unpublishable for more than a century after its composition, Stendhal revisits his unhappy childhood in a stuffy provincial town and bares his rebellious heart. His adored mother, who died when he was only seven; a father devoted only to his own social ambitions; the aunt whose daily cruelties passed for care: these are among the indelible portraits in a work that captures the sights, sounds, places, and characters of Stendhal's youth, its pleasures and sorrows, with preternatural clarity and immediacy. Full of dazzling images and burning emotions, The Life of Henry Brulard is a vivid memoir that is also an extraordinary work of the imagination. Stendhal (1783–1842), the pen name of Henri Marie Beyle, was born into a prosperous family in Grenoble. At sixteen he set out for Paris, intending to pursue a career as an engineer, but instead enlisted in Napoleon’s Army. Stendhal took part in campaigns in Italy, Germany, Russia, and Austria, and then, after Napoleon’s fall from power, settled in Milan,where he wrote books on art and music. Expelled from Italy for political reasons in 1821, he returned to Paris; following the 1830 revolution, he secured the position, which he was to hold for the rest of his life, of French Consul to Civitavecchia. Stendhal’s great novels The Red and the Black (1830) and The Charterhouse of Parma (1839) were largely ignored during his lifetime, and many of his works remained unfinished and were published only posthumously. Among his most important books are On Love, Lucien Leuwen, The Memoirs of an Egotist, and The Life of Henry Brulard.